Alright, so, if this were the real game, the initial story would have ended about 20 seconds earlier, with Blacklight taking Shadow’s hand. Yay, a happy ending, right? Unfortunately, completing the initial story after all seven Emeralds are accounted for would unlock final mode, which begins with Blacklight’s coughing deception. Because, despite my best efforts to entice readers to take his side, we already know where his future leads. But, interestingly enough, I had no intentions of stopping the episode here. From the beginning, I planned on this being the final episode of the arc. Then I finished this “final episode,” and realized that I had written well over ten thousand words. Four thousand tends to be my lower limit. It was one thing, having 8000 word episodes for the past two finales, which could barely make two full episodes if split into two. There was no good splitting point near the middle for Black Cloak, and splitting Speed of Time would have made for a finale episode of almost entirely plot resolution with almost no action. But this time around, I had no such excuses. As much as I want to keep the episode count for this season down as much as possible, it would be silly of me to ask of my readers to sit through such an incredibly long episode. It just so happened to work out that this end point of the initial story and transition to final mode happened just before the middle of those 10,000 words. Now that’s the end of the episode, let’s go back to the beginning. It’s actually been a long time since I started writing it because of the whole double length problem, but I’ll see what I can remember. Starting with the very first lines, there seems to be something odd going on with Professor Gerald, as if he had not only met Blacklight, but watched him die. We’ve already seen Blacklight’s death during Crisis of Chaos, so obviously that’s not true. Perhaps he’s mistaken Blacklight for someone else? The answer…not for quite some time to come. As for Maria…the idea to have her kidnapped didn’t come to me until I started to think about what to write for Blacklight’s connection about the Robotnik family. I realized that I’d made a plan for the goodbye scene between Shadow and Maria which no longer had any convenient place to be included if I wanted to use the goodbye scene with Gerald as well. I also realized that there were so many plot points throughout this arc which could be resolved far better by keeping Maria in the fold for a while longer. The results turned out quite wonderfully. And…I don’t have much to say, other than that. I suppose this episode was pretty…standard. 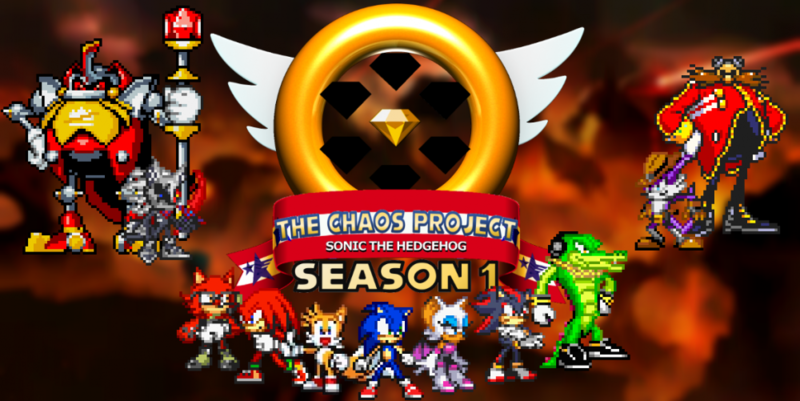 This entry was posted in Episode Review and tagged Birth of Blacklight Arc, Black Cloak Arc, Blacklight the Hedgehog, Chaos Emeralds, Crisis of Chaos Arc, Maria Robotnik, Professor Gerald Robotnik, Speed of Time Arc by Chaos Project. Bookmark the permalink.